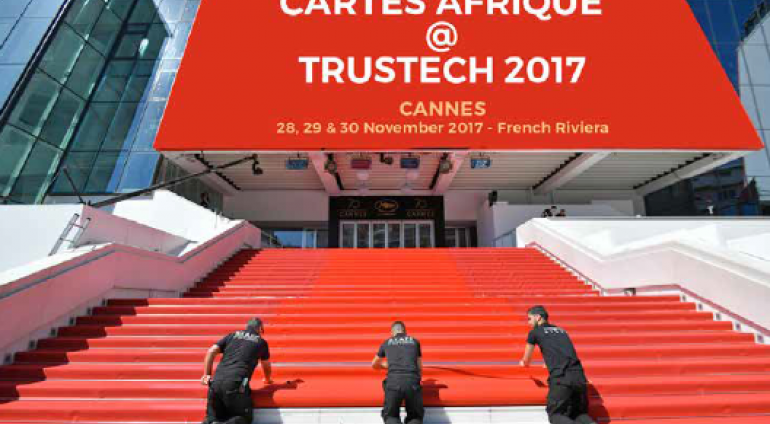 Cartes Afrique is going to Cannes next November ! in Marrakech to learn, discover and share knowledge and technology on the latest payment and ID trends suitable for the region. The payment revolution that has lasted nearly 40 years in the modern world, is likely to happen in less that a decade in French speaking Africa. Governments and business are cooperating in a unique way to implement a common vision for payment, Ecommerce and Egov. But before jumping into the future, one has to understand where does the region come from? What are the driving forces of the industry? Where is it headed? Africa’s economic and social characteristics make of the continent the world’s fastest growing and most dynamic mobile payment market. What are the driving forces behind the mobile payment boom in Africa? How robust and how sustainable is it? The role of African fintechs. Lessons learnt from several leading economies. Mr Demba Diawara has more than 15 years of experience in IT, Banking and Cards Payments. He started his career as Head of Information System and Documentation at the Chamber of Commerce and Industry of Côte d'Ivoire. He has held the positions of Technical Manager and Head of Information Systems in IT consulting firms in Senegal. Joining the banking sector, he worked on the development of electronic banking and cards in two African regional banks, Ecobank and United Bank for Africa (UBA). At the same time he was Professor of Computer Programming at an engineering school in Ivory Coast. For 3 years, he was Business Development Executive for Central Africa Region at Visa Inc. Since 2015 he is currently at UnionPay International as Business Development Manager of Francophone Africa Market, including the North Africa, West Africa and Central Africa. He is based in Morocco. He holds a Master Degree in Computer Science for Business Management (MIAGE) and a Post graduate Diploma in Banking (ITB).Rachid OuladakdimManaging DirectorIngenicoDepuis 2013, Rachid Oulad Akdim est Directeur Général de la filiale Afrique du Nord et de l’Ouest d’Ingenico Group. Fort de son diplôme en commerce international et en finances dynamiques et industrielles, Rachid a su repositionner les activités de la compagnie au cœur du continent pour opérer une nouvelle transformation et donner un nouveau souffle aux activités monétiques du groupe en Afrique. Rachid a rejoint Ingenico Group en 2001 en tant que directeur de projets au sein du département technique. Depuis, il a occupé plusieurs fonctions qui lui ont permis de développer une expertise, aussi bien technique que commerciale, de la monétique.Et un modérateur :Moderator: Bassam ChourManaging DirectorChouradvisorBassam Chour is an expert in payments, IoT and loyalty solutions and services including consultancy, project management, training and business development. He currently works with international companies for implementing payment and mobile solutions with IoT and loyalty programs in Europe, Middle East and Africa. Bassam’s wide scope of expertise and consultancy includes Technologies, Marketing and Innovation solutions and services. Bassam Chour is partner with I-conferences since 2009 and works closely with different partners such as GIM-UEMOA, VISA, MasterCard, UnionPay, etc. Since 2013, Rachid Oulad Akdim has been Managing Director of Ingenico Group's North and West Africa subsidiary. With a degree in International Business and Dynamic and Industrial Finance, Rachid has repositioned the company's activities in the heart of the continent for a new transformation and to give a new lease of life to the Group's electronic banking activities in Africa. Rachid joined Ingenico Group in 2001 as project manager in the technical department. Since then, he has held several positions that have enabled him to develop both technical and commercial expertise in electronic banking. Moderator: Bassam ChourManaging DirectorChouradvisorBassam Chour is an expert in payments, IoT and loyalty solutions and services including consultancy, project management, training and business development. He currently works with international companies for implementing payment and mobile solutions with IoT and loyalty programs in Europe, Middle East and Africa. Bassam’s wide scope of expertise and consultancy includes Technologies, Marketing and Innovation solutions and services. Bassam Chour is partner with I-conferences since 2009 and works closely with different partners such as GIM-UEMOA, VISA, MasterCard, UnionPay, etc. African governments may diverge in many topics, but they have all engaged in futuristic Egov strategies with the aim to improve the financial inclusion and to bridge the gap between the administration and populations. How realistic and efficient are theses strategies? How are they deployed on the ground? What is their impact on corruption? Advisor to the President of Ivory Coast NTICM. Lacina Koné, Conseiller du Président de la République de Côte d’Ivoire, chargé des Technologie de l’Information et de la Communication. Mr. Koné est un professionnel de l’industrie des TICs avec plus de 20 ans d'expérience dans les secteurs des télécommunications, satellite et de système de transport intelligent. Avant ce poste, Mr. Koné a occupé durant sa carrière plusieurs postes techniques et de gestion de haut niveau avec des entreprises prestigieuse tel que Booz Allen Hamilton et Intelsat aux États Unis. Luqman is an astute professional with over twenty seven (27) years versatile experience and currently the Divisional Director – Africa for Daon Unlimited (www.daon.com), a global identity assurance company based in Dublin, Ireland. Bassam Chour is an expert in payments, IoT and loyalty solutions and services including consultancy, project management, training and business development. He currently works with international companies for implementing payment and mobile solutions with IoT and loyalty programs in Europe, Middle East and Africa. Bassam’s wide scope of expertise and consultancy includes Technologies, Marketing and Innovation solutions and services. Bassam Chour is partner with I-conferences since 2009 and works closely with different partners such as GIM-UEMOA, VISA, MasterCard, UnionPay, etc.